Trains from Kiev to Poltava. Kharkov to Poltava. Timetable and tickets booking. Trains from Kiev to Poltava and from Kharkov to Poltava. Timetable and tickets booking. Taking a train from Kiev is the easiest and cheapest way to get to Poltava. 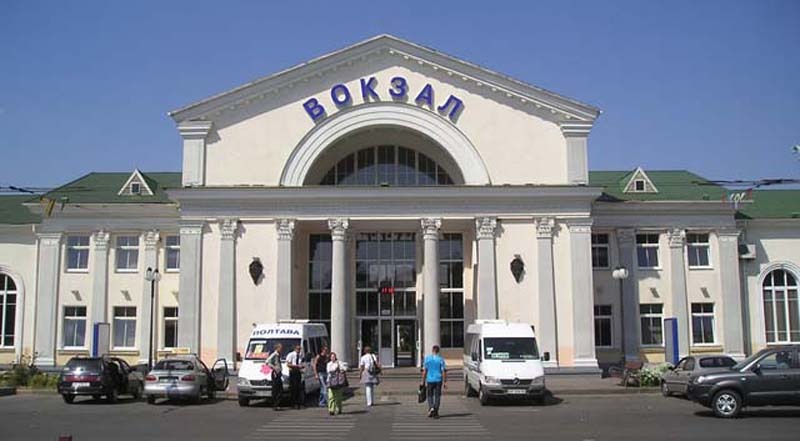 The interesting fact is that there are two train stations in Poltava called "Kiev Train Station" (spelled as "Poltava Kyivska" in tickets booking system) and "South Train Station" (also spelled as "Poltava-Pivdenna"). The 1st one got such name as it's located closer to Kiev. So keep that in mind when you buy your tickets. There is fast express train going through Poltava to Kharkov. It's less that 2 hours from Poltava to Kharkov and 3 hours from Kiev to Poltava. If you are already in Ukraine you can just go to ticket office at any city and buy tickets there or you can order them online from the official website of Ukrainian Railways Company booking.uz.gov.ua. Please, note that Kiev is spelled as "Kyiv" and Kharkov is spelled as "Kharkiv" in online booking system. Trains timetable from Kyiv to Poltava Kyivska station. Trains timetable from Poltava Kyivska station to Kyiv. Trains timetable from Kharkiv to Poltava Kyivska station. Trains timetable from Poltava Kyivska station to Kharkiv. Copyright © 2019. PoltavaUkraine.info. All rights reserved.